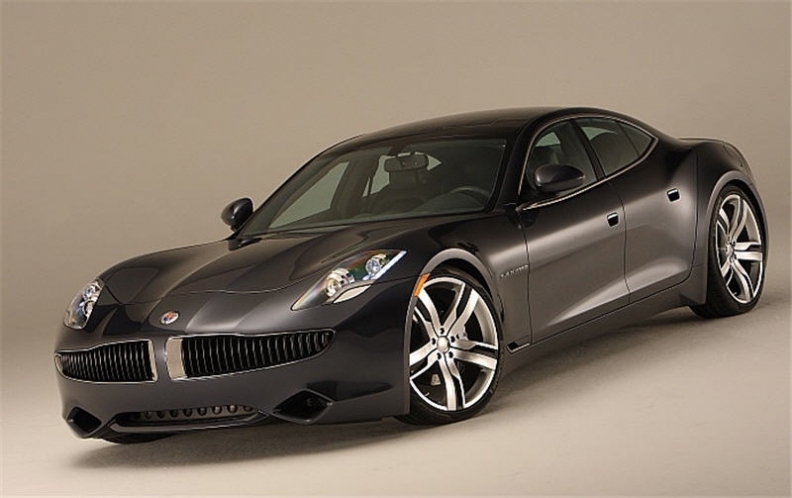 Fisker is ramping up Karma production slowly to ensure quality. LOS ANGELES -- Fisker Automotive Inc. has begun making the $88,000 Karma plug-in hybrid, aiming to get its first production vehicles to U.S. and European dealers by next month. Contract assembly of the car, capable of traveling about 50 miles (about 80km) solely on electricity before a gasoline engine engages, began today at Valmet Automotive's plant in Uusikaupunki, Finland, said Roger Ormisher, a spokesman for Fisker. Valmet, which also builds vehicles for Porsche AG, is making the car under contract for Irvine, California,-based Fisker. "We're going to be ramping up very slowly, very carefully to ensure quality," Ormisher said. "This year we want to get over 7,000 deliveries." Fisker, begun by auto designer Henrik Fisker, is preparing to mass produce plug-in hybrids in anticipation of growing demand for vehicles that consume little or no gasoline and emit less pollution linked to climate change. The Karma will join a field that already includes all-electric models such as Tesla Motors Inc.'s $109,000 Roadster, Nissan Motor Co.'s battery-powered Leaf hatchback and General Motors Co.'s Chevrolet Volt plug-in hybrid. Henrik Fisker, the carmaker's CEO, said in a November interview the company will begin preparations for an initial public offering this year. Fisker in January completed a $150 million financing round to help develop other models, including Karma variants and the $39,000 Nina sedan that's to be built next year in a former GM plant in Delaware. Fisker last year closed on $529 million in loans from the U.S. Energy Department that will fund construction of its Nina production line. The start of Karma production was reported earlier by Ward's Dealer Business.